Palestenian rights activists return to the Max Brenner store at Melbourne’s QV square after their court victory for free speech and assembly in Victoria. Rob Stary says management of QV should indemnify Victoria Police for the costs of dispersing the protesters. THE exoneration of the Max Brenner protesters on July 23 represented a significant victory for those engaged in peaceful protest. It provides a salutary lesson to the authorities as to why police should not be engaged where people are simply exercising their democratic right of peaceful protest. It’s a fundamental right in any tolerant and civilised democratic society. And this episode raises the question of why scarce police resources were invoked at the behest of a large commercial interest in dispersing lawful peaceful protesters. The management of QV should indemnify Victoria Police for the costs of this operation. It should not be borne by the general public. 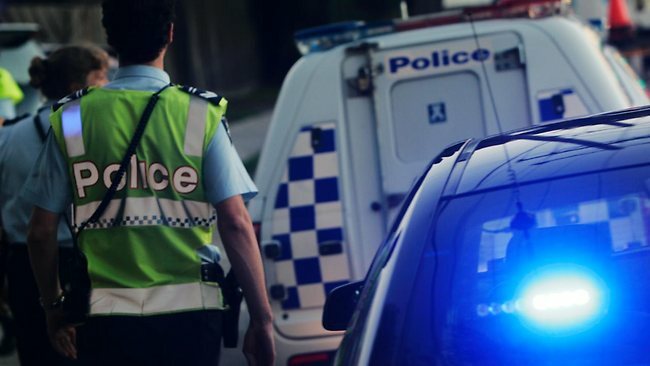 The legal costs that will be ordered against Victoria Police as a result of this case should also be borne in part by the Victorian Government Solicitor’s Office, as a result of its advice as to what might constitute wilful trespass or besetting of premises. A number of demonstrations took place outside the Max Brenner store at QV in April and May 2011, protesting against the involvement of its parent company in supporting the Israeli army’s military operations in the Gaza Strip and West Bank in Palestine. The protesters were in support of the struggle of the Palestinian people against Israeli armed aggression. At all stages the protest was peaceful. And, as the magistrate found this week, there was no breach of the peace or any other unlawful activity engaged in by the protesters themselves. The management of QV invoked the intervention of police, essentially to protect its commercial interests. This ultimately resulted in charges of wilful trespass and besetting premises being laid. It appears that Victoria Police relied on advice from the Victorian Government Solicitor’s Office, and it appears that advice was the foundation of the laying of charges. After four weeks of argument the magistrate concluded that the portion of the premises where the protest had taken place was a public area. In fact, a covenant on the QV land title directed that laneways and other public areas remain open to the public 24 hours a day, seven days a week. It could not be successfully argued that the protesters were trespassing on land that was either public or private. Their peaceful assembly could not be construed as a wilful trespass on publicly accessible areas. The second charge, that of besetting premises, related to the effective obstruction of the Max Brenner business. What the evidence actually showed was that it was Victoria Police deployed in this operation that impeded the public from entering and leaving the area adjoining the shop. It could not be argued that the mere fact of a lawful assembly protesting against Israeli army incursions could amount to a besetting of the premises. In fact, the magistrate alluded to the fact that there were patrons of Max Brenner sipping coffee and eating chocolates while the protests took place. The whole of the activity was captured on CCTV footage. The protesters relied on rights of freedom of assembly and freedom of expression that are enshrined in our Charter of Rights and Responsibilities. Those common law rights are enshrined in various Bills of Rights from the United States to the United Kingdom to Canada and New Zealand. This week’s decision is likely to have a major impact on the way other trespass cases, such as any brought against Occupy Melbourne protesters, are handled in the future. It is the fundamental right in every democratic society for its citizens to participate peacefully in protest. Victoria Police, to its credit, successfully handled the Patrick Stevedore waterfront dispute where many thousands of people blockaded the waterfront. Victoria Police acted successfully in a way to defuse a tense situation. It is a form of policing that has proved successful in the past, and that model should be invoked in any peaceful dispute where there is no risk to property of members of the public. We do not live in Stalinist Russia, Syria or any other totalitarian regime where lawful peaceful protest is repressed by the state. All 16 protesters charged with “Besetting” and “trespass” (at a protest rally against the Max Brenner store last year), have had their charges dismissed. Melbourne Magistrate Court, Monday July 23, 2012. The prosecution case against two activists dubbed the “Christmas Carol Criminals” collapsed when a Perth magistrate dismissed all charges on June 29. Alex Bainbridge and Miranda Wood from the Friends of Palestine WA (FOPWA) had been charged with trespass in relation to a December protest outside Israeli cosmetics company Seacret. Seacret benefits from the illegal occupation of Palestine by stealing resources from the Dead Sea to use in its products. The company has been targeted by FOPWA and other campaigners around Australia as part of the BDS (boycott, divestment & sanctions) campaign against Apartheid Israel. “This [acquittal] is a tremendous victory for freedom of speech and the right to protest,” Bainbridge said of the result. “The court action against the Max Brenner 19 in Melbourne and recent attempts by NSW police to prevent a pro-Palestine demonstration from taking place in Sydney demonstrate that there is a notable pattern of legal harassment against the BDS movement,” he said. “In the current climate, Palestine activists have to fight not only for justice for Palestine, but also for the very right to protest,” he said. These FOPWA arrests were part of the same pattern. Evidence presented in court demonstrated that the arresting officer was targeting individual activists and that he did not given them any time to comply with a direction to leave the shopping centre. The latter point was explicitly endorsed by the magistrate in his summation and was one of two reasons the prosecution failed. More than 40 activists joined Father Christmas in attending a support action for the “Christmas Carol Criminals” as their court case began on June 28. The May 1, 2012 meeting of the Friends of Palestine WA has reaffirmed its support for the Max Brenner 19 – Palestine solidarity activists in Melbourne who face trial for supporting Palestinian human rights. The activists in question took part in a July 1, 2011 protest action outside a Melbourne Central Max Brenner chocolate store. Max Brenner is Israeli owned and actively supports extreme sections of the Israeli military forces. This means that Max Brenner is a legitimate target of the non-violent Boycott, Divestment and Sanctions campaign against Apartheid Israel. Israel’s Apartheid policies include the illegal occupation of Palestine, a raft of discriminatory laws against Palestinians who hold Israeli citizenship and the refusal of right of Palestinian refugees to return to their homeland. Australian authorities should be breaking their alliance with Apartheid Israel and speaking out on the international stage against Israel’s Apartheid policies instead of trying to criminalise activists who are protesting here in support of Palestinian human rights. Friends of Palestine support for the Max Brenner 19 has been previously expressed here. We would encourage all human rights supporters to sign the statement of support here.